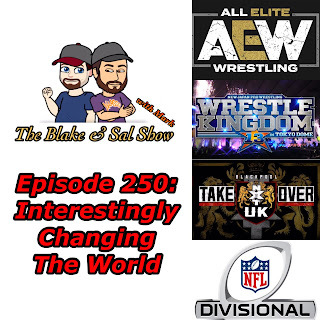 All Elite Wrestling is attempting to change the wrestling landscape and the guys are here to discuss the rally that Cody and The Young Bucks put on in Jacksonville. Also they preview the NFL Divisional Weekend, look back at NJPW Wrestle Kingdom 13 and preview NXT UK Takeover: Blackpool. All that and a blooper reel at the end. Happy 250 everyone! The guys are back to start up the year and they have alot to discuss. 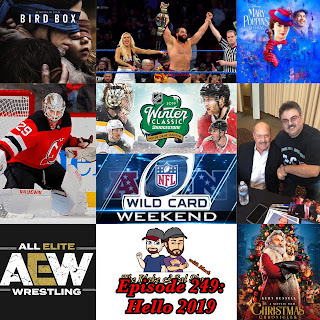 After saying goodbye to the great Gene Okerlund, they review Mary Poppins Returns, Bird Box and The Christmas Chronicles. 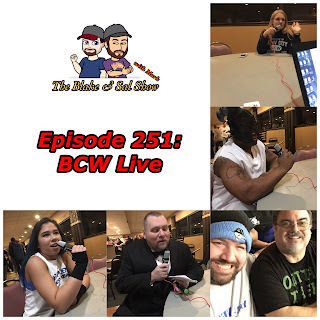 Then they break out a full sports segments to discuss Mackenize Blackwood, the NHL Winter Classic, the World Juniors and the NFL coaching firings and Wild Card Weekend. 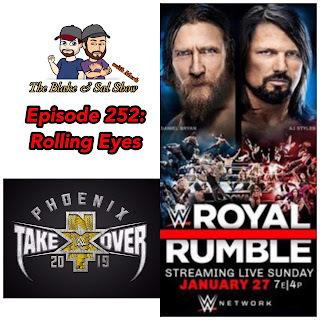 Then finally they discuss All Elite Wrestling, Ring of Honor's new signing post The Elite, Impact Wrestling moving to another unknown television station and then finally WWE's "shakeup" over the holidays. All that and more in a jammed show to start off 2019.